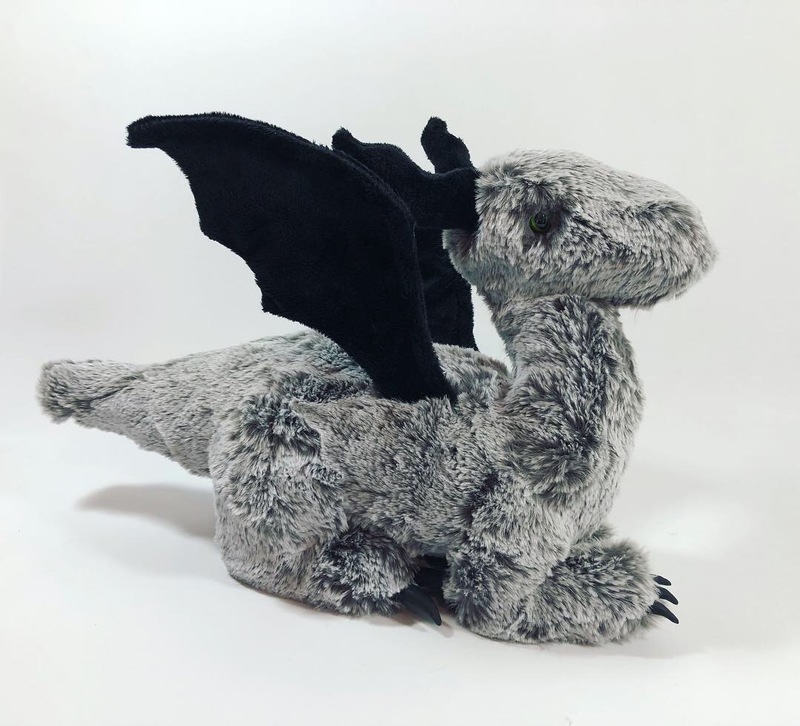 I recently finished my second full prototype of my dragon plush pattern. 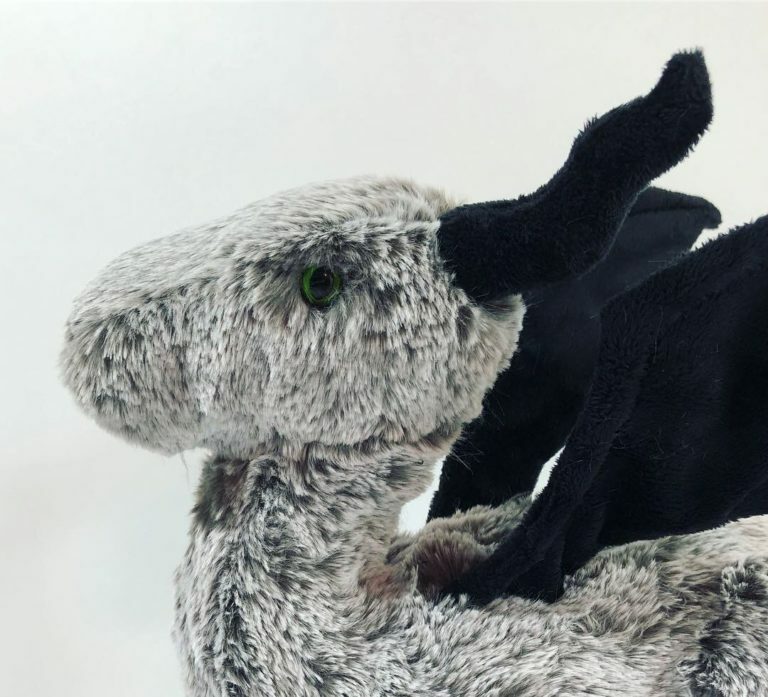 For this one, I used a medium-pile “chinchilla” faux fur for the body and black minky for the horns and wings. The eyes are green cat-style safety eyes. The wings are wired just like the first version. I also made front and back claws out of polymer clay. This was my first time making basically anything out of clay, and I was really nervous! It was pretty difficult to sew them in with the length of the fur, also. But I think it came out great. The fur was extremely hard to work with at such a small scale. 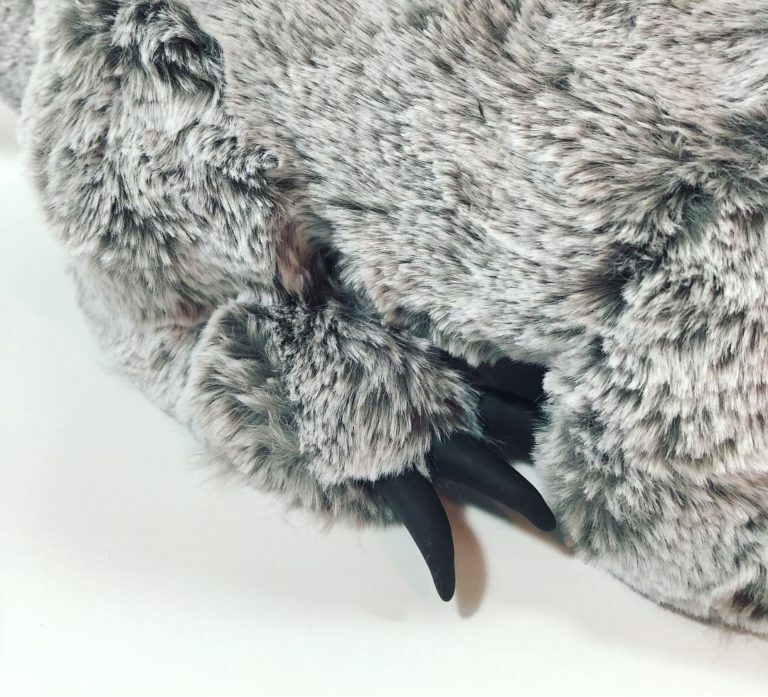 If I tried faux fur again, I would scale up the pattern first. I’m pretty happy with how he came out, but one of the legs ended up higher placed than the other, making him sit lopsided. As long as I put a little booster under that leg, he looks perfect! I have one more prototype to do before I feel comfortable taking commissions. 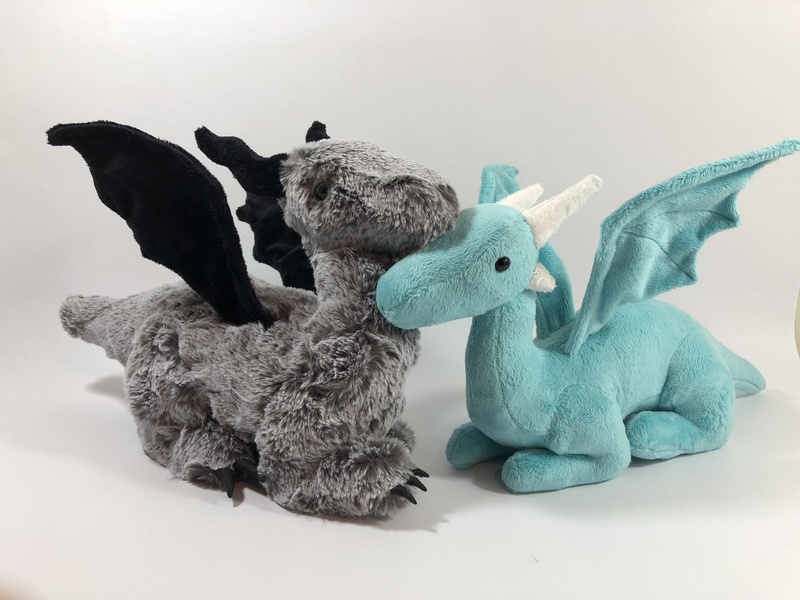 But if you are interested in commissioning a custom dragon plush, feel free to contact me (alexlynncrafts at gmail dot com) and we’ll chat!